For Thanksgiving this year, we decided to save the traditional turkey for a later date and try a new special meal. 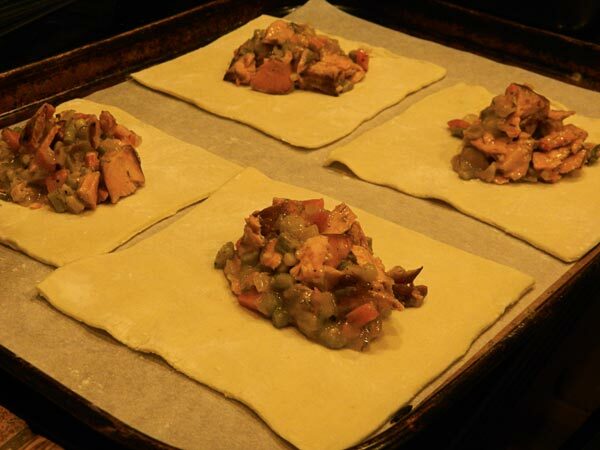 We started with a recipe from Melissa d’Arabian for Chicken Pot Pie Turnovers, and decided to replace the chicken with salmon. Then, we used another Melissa d’Arabian recipe for Roasted Radishes and Carrots to use for a side dish. 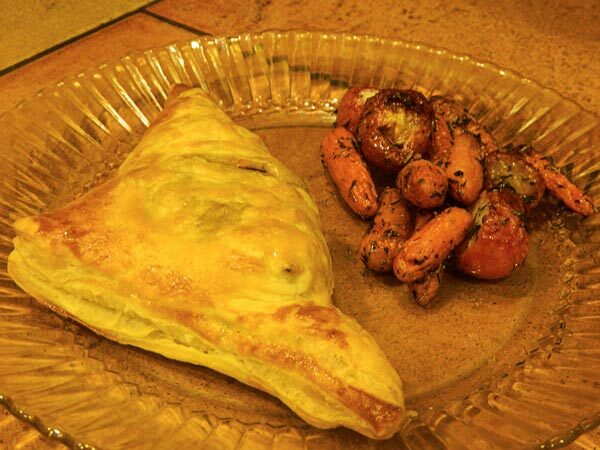 Although we call it a Salmon Pot Pie, it is actually more like a turnover. Salmon Pot Pie and Roasted Radishes and Carrots on the plate and reay to eat. First, we grilled the salmon over cherry wood chips to give it a nice, smoky flavor. 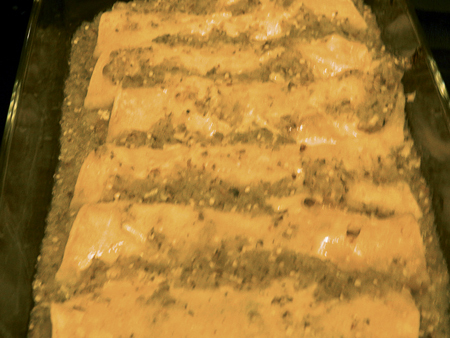 The salmon has been grilled and is ready to be torn apart to add to the recipe. Then, the vegetables are sauteéd. Some of the comments on the recipe page said that the thyme was a little too much for this recipe, so we substituted dill instead. The vegetable are in the pan, ready to sauteé. Then the flour and liquids are added, and it is simmered to the right thickness. The sauce is simmering over a medium heat. The grilled salmon was added to complete the filling. The salmon has been added to the sauce, and the filling is complete. 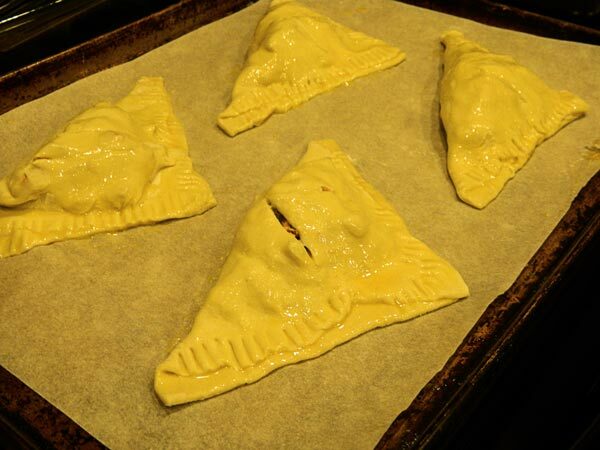 Then we placed the filling on the dough. 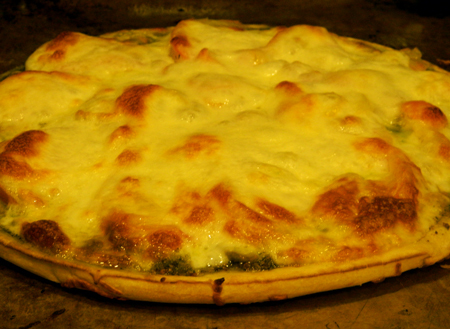 The filling has been placed on the dough. Then we folded the dough is over the filling and brushed with an egg wash. The dough has been folded over the filling and is now ready to bake. After a half hour of baking and ten minutes of cooling, they are ready to serve. They are now ready to be placed on the plate. We felt that the thyme was also a little too much for the roasted radishes and carrots that we served on the side, so if we repeat this recipe we will probably replace that with dill also. Melt the butter in a large saute pan over medium heat. 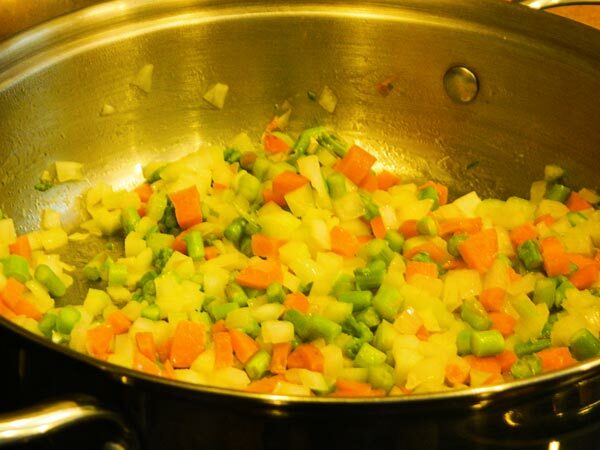 Cook the onions, carrots, and celery with salt and pepper, to taste, until the carrots soften, about 10 minutes. Add the garlic and thyme and cook for an additional minute, stirring frequently. Add the flour and cook off the raw flavor, about 1 minute more. Turn up the heat to medium-high and deglaze the pan with the wine. Whisk in the stock and Dijon mustard. Add the peas and chicken and cook on a very low simmer until the sauce thickens up into a gravy, 5 to 10 minutes. Remove from the heat and set aside. On a lightly floured surface, unfold the pastry dough and cut into 4 even squares (cut once horizontally and once vertically). Gently roll out each square, increasing the size of the square by about 20 percent. Place the squares on a baking sheet and spoon the chicken mixture in the center. Fold the squares diagonally to create triangles. Pinch the edges together to create turnovers (use a little water if needed to bind). Press the edges with a fork to create a decorative border. Whisk the egg with a splash of water and brush the turnovers with the egg wash. Cut a small slit in the top to allow the steam to escape during baking. 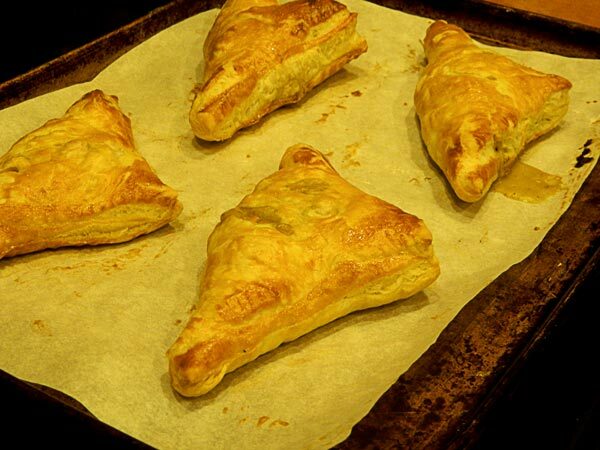 Bake the turnovers until golden brown, about 30 minutes. Let cool at least 10 minutes before serving as the insides will be very hot. Place the radishes and carrots on a baking sheet and toss with the olive oil, thyme, salt, and pepper. Roast until tender yet firm in the center, about 20 minutes. Squeeze with a little lemon juice and serve. It’s hard to believe that Ned-Pepper has been a member of our household long enough to be the subject of six Christmas cards now. I am particularly proud of this year’s effort. I had an inspiration last January and worked on it for much of the year. You can mess with a lot of things, but you can’t mess with a dog on Christmas. In a search for variety, we make pesto from many different greens—beet greens, chard, and kale—and with many different nuts—cashews, sunflower seeds, and pistachios. When we we received a couple of fennels in our CSA farm share, we experimented with fennel frond pesto working from a recipe at Recipe, interrupted. In addition to substituting rotini, we also added some freshly grated Parmesan before serving. 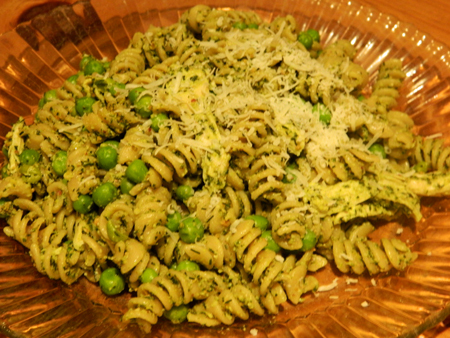 Aside from using rotini (my favorite pasta to use with pesto) rather than penne pasta, and omitting the optional mint leaves (which we didn’t have at the time), we followed the recipe almost exactly. The ingredients are assembled before we start. Now there’s a tongue twister. Try saying “Pesto Pasta” ten times quickly. 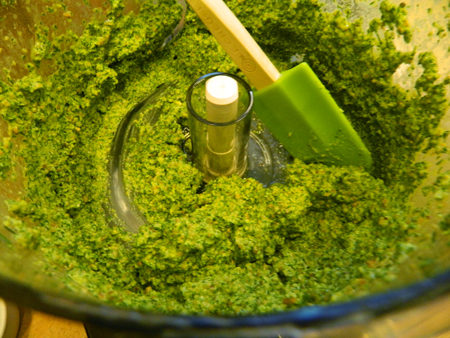 First, the pesto is processed. Then, the pesto is set aside while the pasta cooks. Everything is mixed together in a large bowl and ready to be served. Put the pistachios, garlic, cheese, salt, and pepper in a food processor. Pulse a few times to grind slightly. Add fennel and mint, if using, to the food processor. With the motor running, drizzle in the olive oil until the mixture is reduced to a paste and has a spreadable, but not greasy consistency. Taste and add salt if necessary. Squeeze in a little bit of lemon juice to taste. Bring a large pot of water to a boil. Salt the water generously and cook the pasta until al dente. When the pasta is done, drain the pasta in the colander. Return the pasta, along with the peas, into the pot. 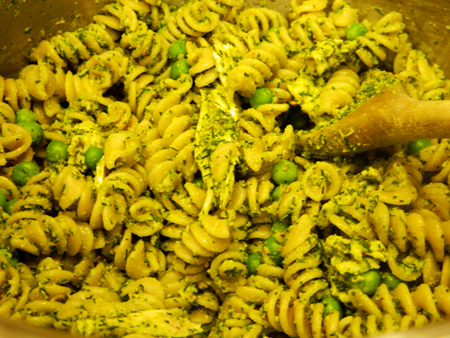 Stir in the pesto until pasta is lightly coated and flavorful. Squeeze in a little lemon juice, to taste. 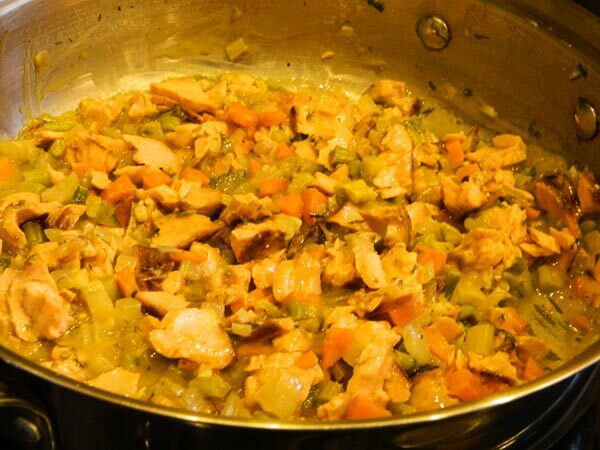 When we served the leftovers the following night, we also added a little cut up chicken meat for some added protein. 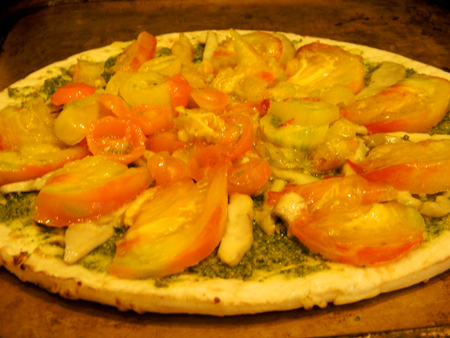 With a lot of fresh and wild ingredients from the farm and from the forest, we decided to make a fresh and wild pizza. If Debi had not been working all day she would have put together a nice home-made pizza crust, but because of time limitations we used a Boboli® Original Pizza Crust. 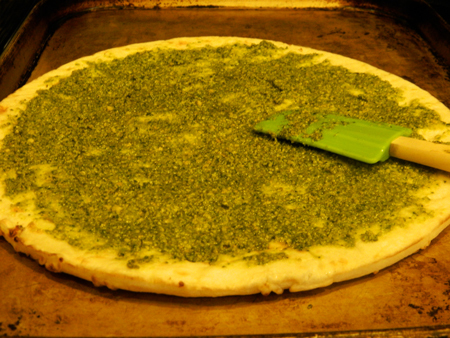 First we spread some pesto on the crust. 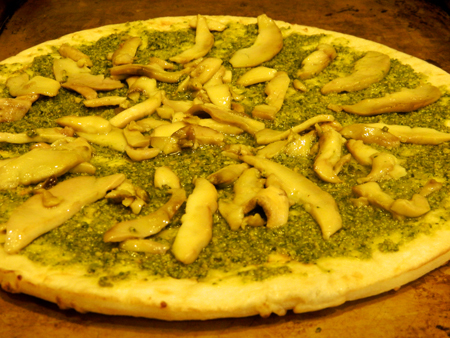 The pesto was made with basil from our CSA farm shares and cashew nuts. Then we added sliced wild bolete mushrooms, harvested from our forest, that we had sautéed in butter. 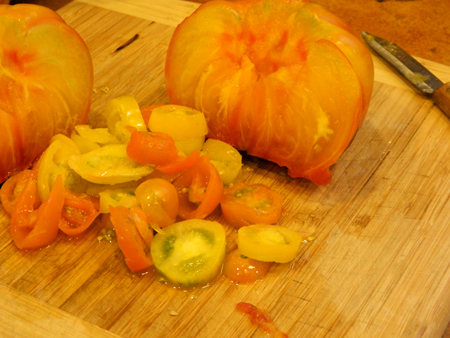 We sliced heirloom tomatoes from our CSA farm shares and also a few smaller tomatoes that the GSA gardeners had shared. The heirloom tomatoes were arranged along the outside, and the smaller tomatoes were distributed in the center. After being topped with provalone, it is ready to go into the oven. 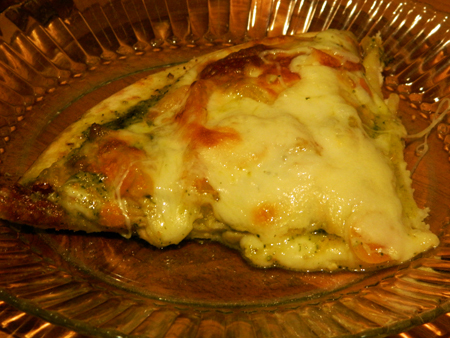 After the cheese is melted and slightly browned, it is ready to serve. Cream of Green Anything Soup has become a kitchen tradition in our household, although my wife had been making it long before we ever met. 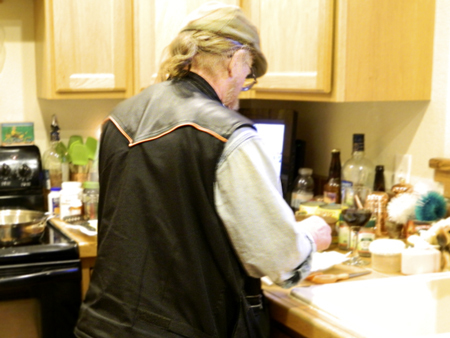 She found the recipe by Bill McLoud in the Boulder Daily Camera some time around 1976 and has saved it for all these years. We like to enjoy this cold soup on a hot summer day. The recipe calls for just about any green veggie—such as asparagus, broccoli, spinach, artichoke bottoms, or artichoke hearts—so when our CSA farm share included a couple of pounds of broccoli, Debi knew exactly what she wanted to do with it. The ingredients are gathered and ready to assemble. The recipe calls for it to be served hot or cold, but we especially like it refrigerated for 24 hours, then served with a dollop of sour cream and a sprinkling of paprika. 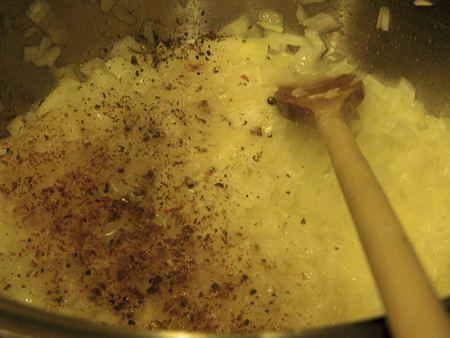 The salt, pepper, and nutmeg are added to the sautéeing onions. 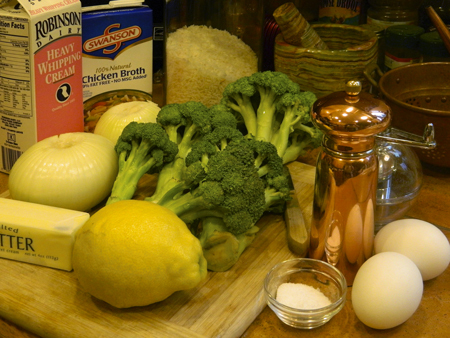 The broccoli is added to the sautéed onions. it sends a wonderful aroma throughout the house. than it used to be with our old blender. Sauté the onion in butter until just soft. Add salt, pepper, and nutmeg to taste. Don′t be shy with the nutmeg, as it is the only spice other than salt and pepper in this recipe. 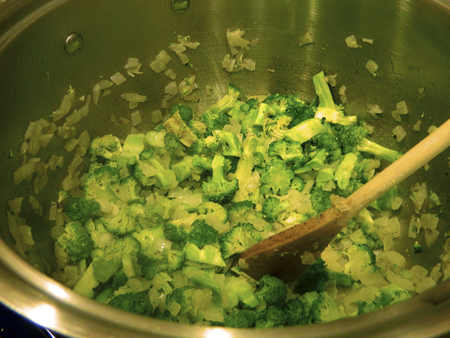 Add the green vegetable, cut or broken into small pieces. Add 6 cups of chicken broth and the uncooked rice, and simmer about 20 minutes, until the rice is done and the vegetables are tender. 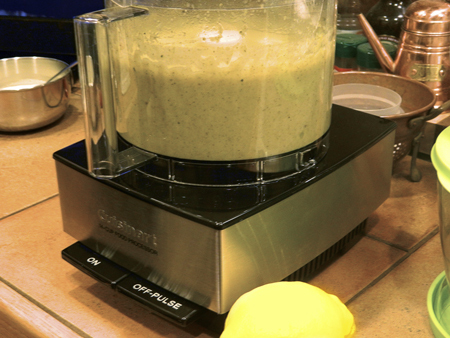 Process a portion at a time in a blender until smooth. Put the blended soup back into the pan. Mix the egg yolks with the whipping cream. Mix the egg/cream mixture with a portion of the still-hot soup, then mix with the rest of the soup. Add 2 more cups of chicken broth and the lemon juice. Taste and adjust the seasonings, then reheat. 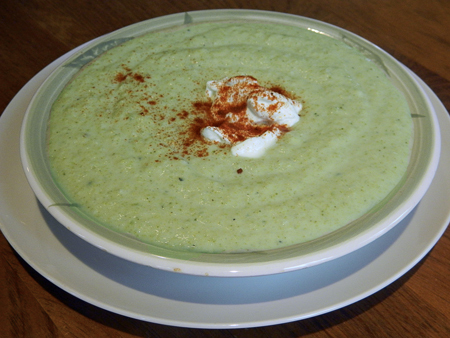 Serve hot or cold, garnished with a dollop of sour cream and a shake of paprika or chopped parsley. Curry powder can be substituted for the nutmeg. Another National Husbands Make Enchiladas for their Wives Day has come and gone. I’ve never seen any declaration of what the official date is, but my wife somehow knows about it and gives me advance warning. In the past, I had used canned or bottled enchilada sauce, but Debi has been raising the culinary bar pretty high in our kitchen, and bottled sauce just doesn’t seem to cut it anymore. Last year, I found a recipe for a red enchilada sauce that was good but did not fully live up to my expectations. 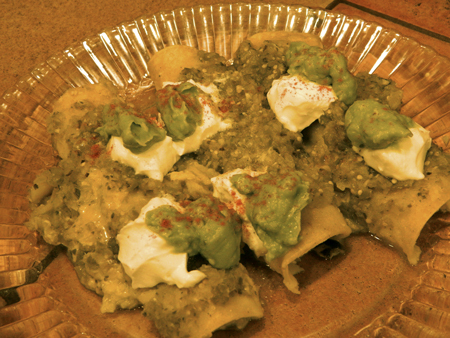 This year, after Debi watched Guy Fieri making a green tomatillo enchilada sauce, we decided that was what we wanted. 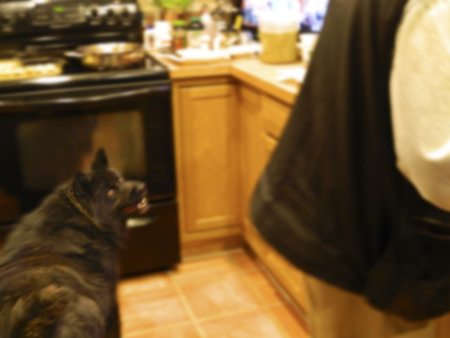 ... while the dog hopes something will drop onto the floor. I tried combining two recipes, one by Guy Fieri and one by Tyler Florence, and by adding some of my own innovations this is what I cooked. 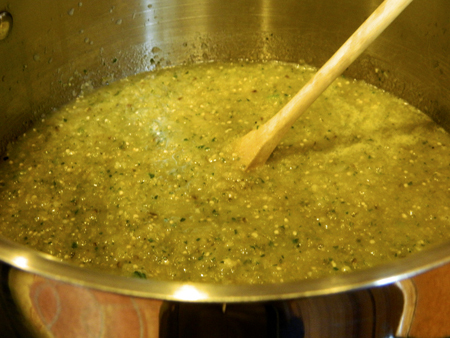 Green tomatillo enchilada sauce simmering on the stove top. Place a couple handfuls of foil-wrapped wood chips in the grill, with a few holes poked in the foil, and get the grill good and hot. Place the tomatillos, onions, garlic, and peppers in a cast-iron pot, coat them with olive oil, and place them uncovered on the grill. Close the grill so that they can absorb the smoky flavor. Let them roast until the tomatillos are soft. After the roasted vegetables have had a chance to cool down, add the broth, cilantro, lime juice and zest, cumin, salt, and pepper. Process it all in the food processor until it is mostly smooth, but still has some small chunks. After it has been fully processed, simmer it on top of the stove for about a half hour. 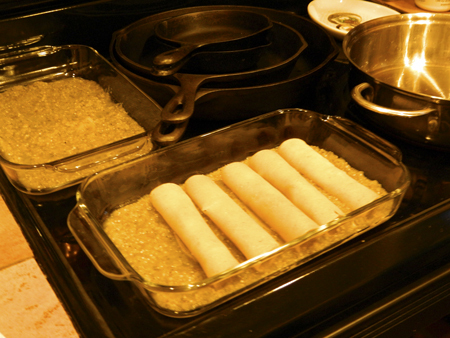 The enchiladas are being filled, rolled, and placed in the pan. Fully assembled enchiladas, ready to be placed in the oven. 1 cooked duck breast, cut into small pieces. The enchiladas have been cooked and are ready to be served. Cover the bottoms of two 9″×12″ Pyrex baking pans with a liberal amount of enchilada sauce. In a sauté pan with a bit of canola oil in the bottom, cook each tortilla for a few seconds on each side, until it is soft and pliable, and place on a paper-towel–covered plate. On a separate plate, dab each tortilla with a paper towel, place a portion of filling on it, roll it up, and place it seam-side down in a baking pan, ending up with six in each pan. Cover with more enchilada sauce, sprinkle the shredded cheddar over the top, and bake at 350°F for about a half hour. After placing the enchiladas on a plate (I think three make a nice serving), top each with a couple of dollops of sour cream and a couple of dollops of guacamole or chopped avocado, and sprinkle a little cayenne on top. 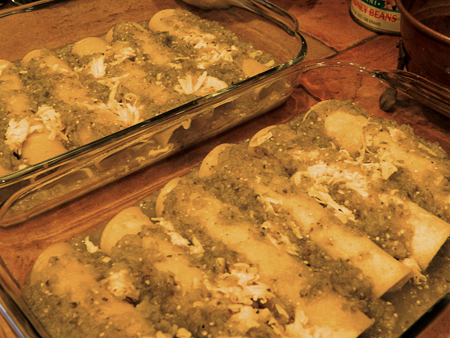 Finally, the enchiladas are on the plate, ready to be enjoyed with a glass of Sangiovese! Another year has come and gone, and Ned-Pepper has posed for yet another Christmas card. I started out doing a little exercise in Photoshop with a photo of Ned from a couple of years ago running in Kelly Dahl Campground. 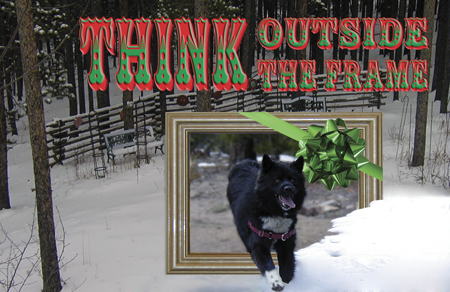 I added a picture frame, having him and the snow on the ground run outside of the frame. When I added the snowy forest in the background, I realized a Christmas card had been born, and I took a photo of a bow to add to the frame. 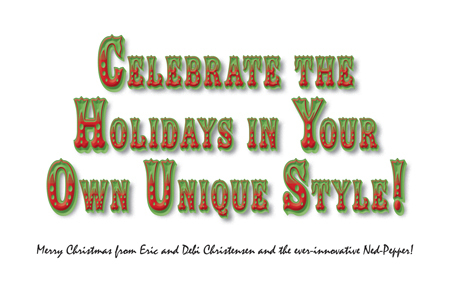 Celebrate the Holidays in Your Own Unique Style! My wife has been flavoring our meals with compound butter for quite a while now, and she has collected many of the things she has learned into one large text file. I am sharing this with you today. Much of this has been copied verbatim from various sources. Web addresses are included when information has been taken from the Internet. None of this has been edited or cleaned up, but you should be able to get the gist of what is being said. I hope you can appreciate these flavored butters as much as we do. Mix together well and chill. Use to melt over steamed or grilled veggies. I’ve been using a Mustard Caper butter from Deborah Madison that aaron passed along. It’s fabulous on all the cabbage family members, and on potatoes. I’ve used it on green beans and summer squash. My easy favorite in the summer is chili powder, garlic/lime with cilantro. for corn on the cob. I love dill butter on salmon or halibut. I love butter,mixed with garlic, good blue cheese and cream cheese – smeared on Italian bread to make a toasted garlic toast, only we call it “blue cheese toast”. Serve with steak. Mash up an anchovy and a garlic clove with some salt (two anchovies if you love them). Squeeze a few drops of lemon over and mash the butter in. It’s amazing on beef in particular. Dollops of this sweet butter go great over banana’s Foster or hot waffles and pancakes. A dash of cinnamon or nutmeg also could be added to this butter. 1. In a small bowl, combine all ingredients. Mash gently with a fork until thoroughly mixed. Transfer to a serving container and chill until firm. Spread this deliciously sweet and peppery butter on toasted muffins. 2. Alternatively, transfer the blended butter to a sheet of plastic wrap, cover, then form the butter into a log and chill. Once the butter is firm, it can be cut into pats. This butter goes great over any steamed vegetables, but is especially delicious over mashed potatoes. Bottled roasted garlic is available at most large grocers. Place pats of this butter over steaks still hot from the grill. 1. Fill a medium bowl with water and ice. Set aside. 2. Bring a small saucepan of water to a boil. Add the asparagus and blanch for 1 minute. Transfer the asparagus to the ice water to chill. When the asparagus is cooled, pat dry with paper towels and cut into 1/2-inch chunks. 3. In a small bowl, combine the asparagus, butter and thyme. Mash gently with a fork until thoroughly mixed. Transfer to a serving container and chill until firm. 4. Alternatively, transfer the blended butter to a sheet of plastic wrap, cover, then form the butter into a log and chill. Once the butter is firm, it can be cut into pats. Whip butter to light and fluffy consistency. Add remaining ingredients and mix thoroughly. Caper-Tarragon Compound Butter is delightful when used to finish roasted or grilled fish, shellfish or chicken. It is also a tasty spread for your favorite Nugget Market artisan bread! Butter can be used immediately or you may create various shapes by using parchment paper or a pastry bag with your favorite “frosting” tips. Rolling butter in parchment paper allows you to store it for up to 1 month in the freezer. Lay 1, 10″ x 14″ piece of parchment on the counter. Use rubber spatula to scrape butter from bowl onto the lower third of the paper. Lift bottom of paper; fold over to cover butter completely, then use hands to shape into a cylindrical form. Once its shaped, roll butter in paper to the opposite edge (like a Tootsie Roll); twist edges to seal. Pastry tips can be used to make a variety of shapes – from leaves to roses. However, when using this method all ingredients must be minced fine in order to pass through the tip you choose to use. for tons of good ideas.. If you don’t have any cognac on hand, try a little brandy or even dark rum. Take the butter out of the fridge and set it on the counter to soften. By the time your cranberries are ready, the butter should be soft enough to use. Chop up the dried cranberries. Toss them into a small bowl. Drizzle with cognac. Give them a stir. Let them sit on the counter for about 30 minutes. I used about a tablespoon, but by all means use more or less depending on your taste. After about 30 minutes, you should notice that your cranberries have absorbed some of the cognac. Toss the orange zest into the bowl. Put the butter into a medium-sized bowl. Mash it up with a fork to break it up. Toss in the contents of your bowl (cranberries, cognac, orange zest). With a fork, mash the contents of your bowl together. It will take a minute or two to work the cranberries and zest into the butter—and for the cognac to disappear into the butter. 1. In a small bowl, combine butter, 1/2 cup of cranberry blood orange relish. Stir well with a fork, or small spatula, to combine thoroughly. Cover and chill in the fridge until firm. Serve as desired with warm scones, biscuits, atop muffins, breads, waffles or pancakes, etc. Leftover compound butter can be stored, tightly covered, in the freezer until needed. 1. Combine all ingredients in the bowl of your food processor and pulse until finely chopped or ground. The mixture will resemble a somewhat chunky applesauce. Place into a covered container, cover and chill in the fridge for at least 1 to 2 hours to allow the flavors to marry. If using frozen whole cranberries, be sure to defrost them before proceeding. *If there’s anyone out there who does not know how to supreme an orange, let me know and I’ll offer further instruction. Be sure to supreme your orange over a bowl to catch resulting juices then add the juice to the cranberry mixture before pulsing. Yes, you’re going to have some leftover relish … but is that such a bad thing? This stuff is so good, you could simply eat it with a spoon. Trust me, I know. You could also freeze it and save for later use. You could turn it into some kind of granita, if so inclined. You could use it to top ice cream, or even some lovely grilled chicken. Honestly, the possibilities are endless here too. Use your imagination. As for the compound butter, its excellent! I love the bright flavor of the orange mixed with the tart cranberries. That combo, paired with the the subtle hint of saltiness from the butter spread, rings all of my bells. Its yummy stuff and sure to find plenty of uses, Chez Diva. And, bonus, its trans fat and cholesterol free! If you’d like to play along, please pay a visit to 5 Star Foodie Culinary Adventures and read up on the rules. Entries into the Compound Butter Make-over Challenge are due by Sunday, April 4th. Natasha will post a round up of all the entries and announce the winner on Monday, April 5th. I hope you’ll join us! 1. Combine all ingredients in the bowl of your food processor and pulse until finely chopped or ground. The mixture will resemble a somewhat chunky applesauce. Place into a covered container, cover and chill in the fridge for at least 1 to 2 hours to allow the flavors to marry. The compound butter is an easy prep. Roast the garlic out on the grill or in the oven by lathering it with olive oil, salting it with kosher salt, and cooking it until the cloves are tasty and soft. Mix it with the butter (at room temperature) and chives and refrigerate. There was no magic to the ribeyes. I let them come to temperature by taking them out of the fridge 20 minutes before they hit the grill, salted them, and ground on some fresh black pepper. When the grill was rocket hot, I seared the steaks and when I achieved some good grill marks and carmelization, I took them off direct heat until the desired internal temperature (rare) was achieved. I was satisfied with the results, and the butter is always a hit. 1.Combine all ingredients in a small bowl and stir with a spatula until well mixed. 2.Turn the mixture out onto a piece of plastic wrap and form a log about 4 inches long. 3.Refrigerate for at least 1 hour or until firm. Why use plain butter when it’s so easy to make your own compound butter? My latest combination is real bacon and blue cheese, perfect for topping a fresh-off-the grill steak. The butter keeps in the refrigerator for about a week. If you’re not a fan of bacon and blue cheese, just pick your favorite spices and/or herbs to mix with the butter. I also like garlic-parsley-smoked paprika (use a garlic press to smush 1-2 cloves garlic + 2 teaspoons finely minced fresh parsley + 1/4 teaspoon smoked paprika + good pinch of salt). Heat a frying pan over medium-high heat. Add the bacon and cook until crisp (or use your preferred method of bacon cooking). Drain, pat dry and chop the bacon into very fine pieces. Add the bacon, blue cheese crumbles and the butter in a bowl and use a fork to mix well. Lay the parchment paper flat with the long side facing you. Spoon the butter mixture near the bottom of the paper. Roll the paper up, smoothing out the butter to resemble an even log about 1 1/2-inches in diameter. Try to roll it pretty tight to get rid of any trapped air. Twist the ends of the parchment paper to secure and refrigerate for at least 1 hour until butter is firm. To use, unwrap the parchment paper and cut butter into 1/2-inch circles. Re-wrap remaining butter in parchment paper and refrigerate up to one week. This steak butter will melt over and around your beef and act much like a sauce in enhancing the entrée and its presentation. steaks being ready and keep them at room temperature and then top the beef steaks when plating. Preparation time: 10 minutes. Serves 8-10.
chopped fresh parsley, thyme, chives, dill, basil, garlic, and shallots. Mix in salt and pepper, fresh lemon juice and a splash of white wine. Roll butter into a cylinder in wax paper. Chill in freezer until butter “sets up”. Grill your favorite cut of steaks and place a slice of the herb compound butter on top of each. Serve with fresh artichokes from last week’s recipe! 2 sticks of salted butter, room temp. Stir butter and herbs together in a medium bowl until well combined. Use tablespoon sized scooper, scoop desired amount onto grilled steak. 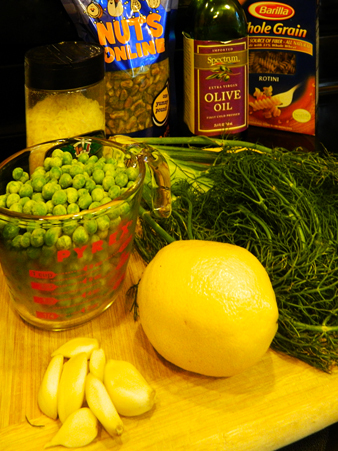 same as above except substitute the herbs for 1 tablespoon minced rosemary and 2 tablespoons drained minced capers. same as above except only use the butter and 2 tablespoons of buffalo wing sauce. The sky is the limit to the zillions of compound butters. Just start with 2 sticks of butter and add in whatever you like. Chill well and enjoy!!!! Nothing beats the sight of a melting dollop of garlic butter slowly disappearing over a perfectly cooked steak! This easy to make garlic butter recipe is perfect for steak, chops, chicken, and even seafood recipes. Garlic butter will keep in the fridge, and can be made well in advance. Put the butter in a bowl and leave at room temperature until it is soft enough to work. Add all the other ingredients and mix to combine thoroughly. Using a spatula scrap the butter mixture on to a square of plastic wrap. Shape into a log, and roll the mixture up in the plastic, twisting the ends. Refrigerate until firm. When ready to use, remove wrap and slice into rounds. Place on hot steak just before serving. Place butter in a medium bowl and, using a rubber spatula, soften until it’s very spreadable. Add remaining ingredients and mix until thoroughly combined. Place compound butter on a sheet of plastic wrap. Roll into a log and twist the ends to seal. Place butter in the refrigerator to harden. 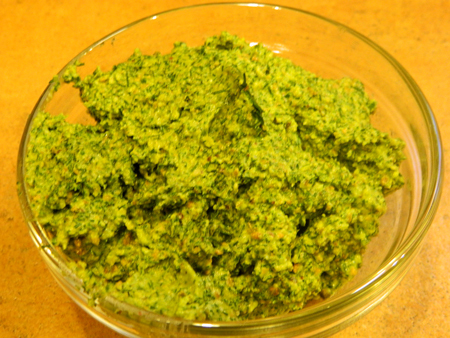 Basil Walnut Pesto. A truly delicious pesto. 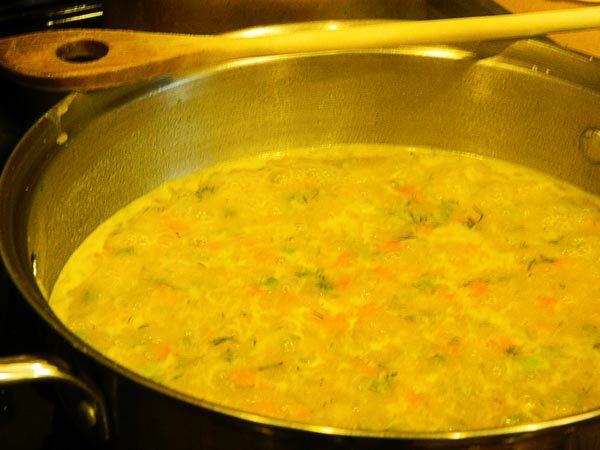 Toss with pasta, vegetables or rice. Make a special grilled chicken salad on mixed greens. Create easy bruschetta: Spread pesto butter on a sliced baguette, top with sliced mozzarella and broil. One of our favorite foods—more expensive and worth every cent. 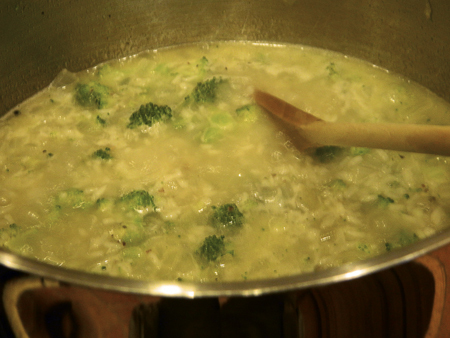 Scramble eggs in it, toss with pasta, add to risotto or rice just before serving. Add a pat to grilled steak or seafood. 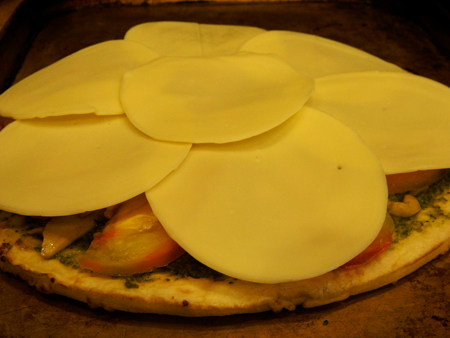 We just love it on slices of fresh or toasted baguette. If you’re feeling rich, serve it with fresh corn on the cob and mash potatoes with it. One of the more subtle butters, but a classic for the many recipes that call for wine and shallots. Add it to the pan during the last minute of sautéing white fish and shellfish. Ravioli or tortellini gently tossed in this butter offers a sophisticated side dish, or simply enjoy it on warm, crusty bread. Chili Lime. * This butter has terrific Southwestern flavor, redolent of fresh lime tang and a smoky chili kick. Use it to liven up anything: seafood, fish tacos, grilled chicken or pork, vegetables or rice. Mixing with angel hair or other thin pasta creates the Tex-Mex version of Chinese sesame noodles. Porcini Sage. The earthy ‘shroom flavor pairs well with pasta dishes, broiled chicken, even chicken gravy. Or, use it as a finishing butter for steak: earth ‘n’ turf. with a grilled steak—can be used to sauté mushrooms, make garlic bread and garlic mashed potatoes. vegetables and cooked shrimp for an impressive meal in no time. or melt it as a dipping butter for crab legs, lobster, steamed mussels or artichokes. and adding cleaned, raw shrimp; cook until just pink. Reduce the heat and slowly stir in Scampi Butter so it doesn’t separate. Serve over pasta. Tomato Chipotle. Our batch didn’t have much of a hot chile kick, but it did have a lovely roasted tomato and balsamic flavor. Chef Hubschman likes to brush it on grilled skewers of meat, chicken or vegetables as he removes them from the grill. Try it instead of regular butter when making grilled cheese sandwiches, fry eggs or cook hash browns in it. We liked it with grilled chicken. Tuscan Herb. This classic Italian blend of fresh herbs and garlic can be used on practically everything. We could never have minced the basil, garlic, parsley, rosemary and thyme as finely as this! 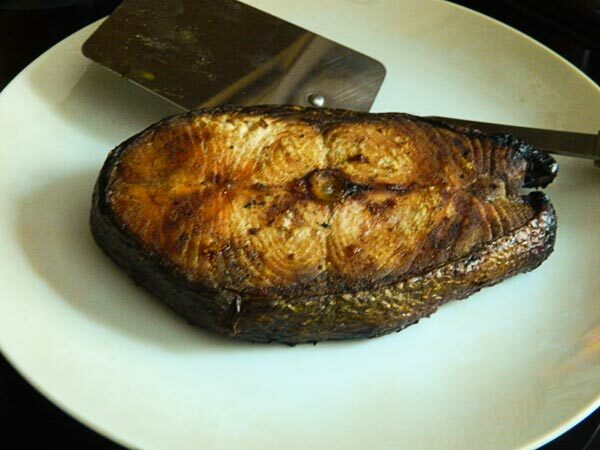 Top grilled fish, toss with pasta or vegetables, make a more sophisticated “parsley potatoes” or add to a baked potato. Here is Boulder Creek, as viewed from the Caribou Ranch Open Space trail on July 10, 2011, and on August 11, 2011. This animation shows you the changes that can take place in only one month. What a difference one month can make after a rainy spring turns dry. Last month, we saw this recipe for Pesto Prosciutto Pasta Shells in Cheap Thrills Cuisine, one of our favorite comic strips, and decided it would be a great way to showcase Debi’s “Ought-To-Be-Famous” Marinara Sauce. It was also a good way to use the last of the pesto we had made from the community garden garlic scapes. Cheap Thrills Cuisine is quickly becoming one of our favorite comic strips. We used large pasta shells because we couldn’t find jumbo at the time we were getting our ingredients together, but we feel that next time it will definitely work better with jumbo shells. The shells are cooked and stuffed and waiting to be topped with Parmesan before they go into the oven. The heavy cream seemed to make the cheese mixture a little runny for stuffing the shells, so we will cut down or even eliminate that in the future. Here they are straight out of the oven waiting to cool a bit before serving. We also felt that the prosciutto distracted from the flavor of the cheese mixture, so we might try leaving it out next time to see how that works. As you can see, we ran out of prosciutto before the pan was filled, so a few of the shells already are filled with just the cheese mixture. The shells are dished up, ready to be served with a glass of pinot noir. Finally, we thought that in the future we might also try substituting the prosciutto with some shrimp, using an Alfredo sauce instead of a tomato sauce. The real fun of trying new recipes is improvising with them to make them your own.